For SoOnCon 2011, thingtank in Toronto made maker passports. This resulted in the need for some stamps. I worked on the think|haus one. Didn’t get any of the final stamp, but here’s some work in progress. 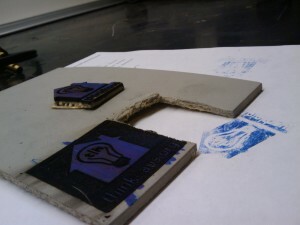 We used natural linoleum sourced from Mixed Media. Important note: don’t use softoleum or other non-linseed oil based “linoleum”! These tend to be made of PVC which will make nasty gases when you laser it. Ideally you’d get… stamp rubber… made for lasering… as our laser was designed to work with. But I had no luck finding that anywhere in store and didn’t have enough time to wait for it to be delivered. You can see here what one of the issues is with using linoleum or possibly my assumed kerf thickness: you don’t really get rid of all the material, you just sort of char it and leave lines there. That’s why I ended up going for a stamp that didn’t have a lot of negative space. The one cut out above is basically what we used, except with the whole thing mirrored so it would actually work as a stamp. Also, linoleum is super flammable! 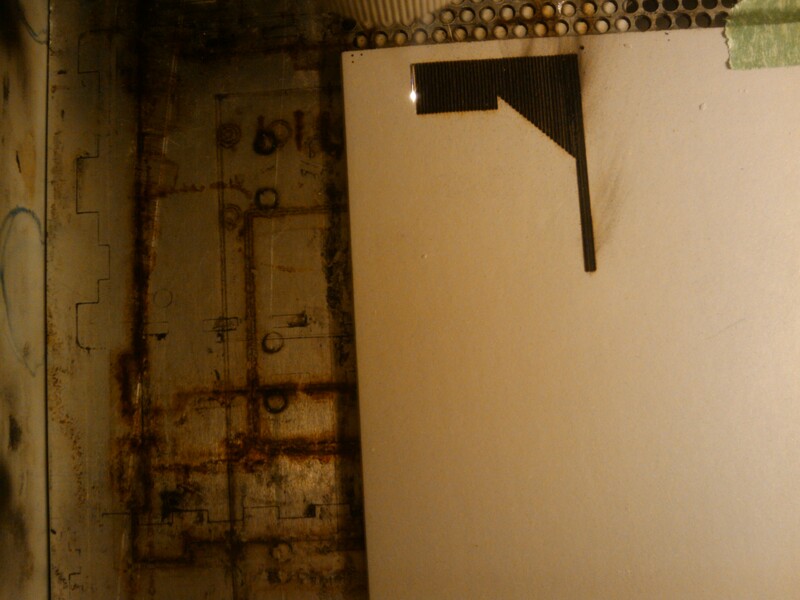 So, you know, don’t leave your laser unattended. Not that you were going to do that, right? Right. Air assist would make this way way easier – in fact, I cut some at site3 and they worked so much better. No charring, just material gone. Magical. This entry was posted in laser and tagged think|haus.